Kronos Workforce Ready® provides a single fully integrated solution of scalable tools that enable businesses to work smarter — from pre-hire to retire. The suite combines the power of full human capital management (HCM) and workforce management capabilities in a simple cloud-based delivery — across HR, talent management, time and attendance, payroll, scheduling, and more. Its intuitive user interface is fully responsive and provides anytime, anywhere mobile access, that minimizes training and empowers employees while improving ease of use and efficiency. Work for Kronos Workforce Ready? "Good product, with knowledgable support"
Thing I like the best community /support that have been able to answer all the questions that we've run into so far to a high level of satisfaction and accuracy. We have seen some intermittent downtime. Usually information about outages can be found in the community forums. Enlist the aide of someone (who knows the intricacies of Kronos), empower them to challenge your default "that's how we do it" assumptions. I was not involved in the selection of Kronos to know how it compares in cost to other vendors. I was selected as the primary manager for implementation of the product and first point of contact for ongoing maintenance concerns. We've been able to address better time capture accuracy, as well as improve integration with external time management system (LiquidPlanner) to eliminate double entry that group of employees. We have not yet outsourced payroll, but the holdups are internal. Kronos provided a platform through which we've been able to integrate with our expense reporting/reimbursement cycle. "Solid product, unmatched customer support"
Constant improvement of product/services, quick turn around for customer support. You know that Kronos is always there to support you, feels like an extended team with the Kronos Community. So many users with great input and willing to support each other. This is such a stable product, customer service is great. The Kronos Community allows other users to interact to help solve issues or inspire new ways of handling processes. Webinars keeping me in the loop on what is coming and how to roll out new features are invaluable. Access to the system can be challenging for some of our peak and part time staff but with the mobile app that has been solved. Easy to train employees and managers on the app. The ability to customize reports for managers so easily saves me so much time, Kronos makes it easy for one person to run payroll for 400+ across 5 states and we do everything in house. "Kronos Workforce Ready has changed how the HR Dept operates"
Employee Self Service. Employees can update addresses, next of kin, etc. Also really like the reminders for when credentials and training certificates are due to expire. I would love if there was a training aspect to WFR. We use checklists to assign tasks to employees but the process can be a bit cumbersome. There are a lot of workarounds in WFR also which can be very time consuming. Sometimes the simplest tasks will have the most long winded workflows. We are much more organised as a HR team. Before we had a seperate system for HR files, another for timesheets, etc. Now they are all easy to access in one place. The employee feedback has been really positive also. The most recent benefit we have seen is with the Performance Management tool. We have a probationary period so it can be hard to track this with new hires and also annual reviews with long serving employees. Managers are more involved and everything is not being left to HR! Love that everything is integrated into one system - don't have to log into different systems for HR functions vs. time and attendance for example. One-stop-shopping! Reporting functionality is not the best.....Have to say that reporting functionality was easier with the last two systems we had......Simple reports are fine but if you want to add custom fields you can't sort/filter/group on them.......Haven't been able to figure out how to show only the subtotals on a report for grouped columns....would like to hide the details for each group and only see the subtotals/totals.....this was easy in our last system but doesn't seem like an option here. Clean up data in your existing system before you make the switch - example: clean up job codes, terminate employees that are no longer working......bring clean data into the new system. We merged two associations when we went live with Workforce Ready so having both sets of data in one place makes life so much easier. Gives our supervisors information at their fingertips instead of having to wait for HR to pull information for them. Employees have multiple ways to clock on: time clocks, mobile devices, call in number, web clock....no reason an employee shouldn't be able to clock in for their shift! "Kronos Workforce Ready is a user friendly experience"
Being able to see what information will be exported from a report and filtering before exporting. Having all employee information easily accessible in one profile. Having the option to use the system for almost everything HR/Payroll related. No advanced filtering and columns not be accessible on every report. Several bugs, especially recently with the switch to the New UI. Not having advanced options for things like tying emails to the Job Application statuses in the recruitment module. It would be easier if some things happened all in one step. Implement several pieces in the beginning or at least understand how they work and what is offered. Don't just jump in because you have a deadline of when you plan to go live. Be aware how the system truly works before implementing. Use the sandbox and create fake employees or add a small group of people to the sandbox to test things out. Make sure everyone who will have a piece in implementing is involved in the implementation process including the Discovery document period. Have someone who can strictly focus on all the changes that take place with new releases and keep up with those changes. New Hire Processing through the system and adding in electronic filing. Registering for benefits through the system and removing the paper option. "A complete tool for payroll and administration." I love its interface, it is simple and very clear, all the tools for creating invoices, payments and all kinds of administrative documents, are located in the best way, it is intuitive and easy to use, since I can find everything at hand, and prepare all my reports quickly, and always in the best way. I would not know what to say that I do not like, Kronos is a very complete tool for the entire administration area, it has everything necessary to make all kinds of documents that are needed every day, it also has a clean, simple interface, and everything It is very easy to use, personally I love this program, it makes my job much easier. both the human resources area, and the administrative part, have better communication, thanks to the shared files that we have in the cloud with Kronos, thanks to the integration that Kronos has with other similar systems, everyone can work on the same goal, with the application of Kronos, I can see how they are working the different areas of HR, from my smartphone and keeps me up to date, of any in preview. What I like best about Kronos is the ability to log into one area and see all the info required to do my job. I currently log into the system to look at the database of employees that are clocked in for work. I use it as a risk manager to access the times and dates that our claimants works if they are claiming a work comp claim. It's used constantly for our claims to help obtain the average hours worked for those claimants that need to have temporary total disability paid and or calculated. What I dislike most about Kronos, it's ugly, its clunky, and although the reports when printed are ok, the search function for all users whether full access or partial is not very user friendly. The search function for a limited user is horrible. It takes me such a long time to find the correct facility and employee name. Maybe this is due to the way it was set up initially. I think, that although the functionality of the software is fine, it looks like it is an old system that could use some updating, but that's just my opinion. Kronos has good functionality, and does a great job overall. At this time Kronos is used by our company across 27 nursing facilities and their employees who clock in. I think this benefits us 100% so that we are able to calculate correct hours worked and when employees actually showed up for work vs. on a schedule. I works for us at this time. Hello Regina - Thank you for taking time to review Workforce Ready! We are so thrilled that Workforce Ready is helping you be more efficient and is providing your organization access to accurate, real-time data. We appreciate your candid feedback about some of the facets of Workforce Ready that are not so likable. We will be sure to share your feedback with the appropriate teams. If you have any additional feedback to share, please contact directly at Aishamarie.ruiz@kronos.com. Definitely something to consider! Having worked with ADP in the past, Kronos makes it easy to adapt the UI to our brand, make its easy to run reports and it makes it easy to monitor all company functions with in one HRIS. As a company of over 200 employees, this has made it easy to access resources and their customer service team goes above and beyond to ensure that as a customer we have the proper guidance and tools we need to continue to grow with the program. They also have an excellent site community that allows other admins to ask each other questions and help each other. Running hour reports to ensure employees are who are part time are meeting their average hours to some extent. Their are a few issues with the HRIS but it will suffice for now as we work with our rep to fine tune reporting. Hello Brenda - Thank you for sharing your review! We are so excited to hear that our customer service exceeds your expectations and that Workforce Ready is simple and easy to use. We appreciate your feedback about the reports. Please contact me directly at Aishamarie.ruiz@kronos.com if you would like to discuss your reporting needs further - we are here to help! "Kronos App for Target use." I have benefited from having access to my punch card information so that I am able to view my current hours worked at any point. It has also been useful to be able to view my accrued time off easily so that I can plan my time off appropriately and accurately. One of the main purposes for this app within a Target store is to be able to swap shifts with co-workers. Unfortunately, this part of the app has not been the easiest to use or understand for team members. There are a few things within the swap shift portion that could be organized differently and if team members could communicate with each other that would be very beneficial. Kronos allows team members to accurately know their hours worked and know if they forgot to punch in or out at any point. The benefit is that team members have faster access to more personal information. Hello Hillary - Thank you for taking time to review Workforce Ready! We love hearing about the value that customers are getting out of Workforce Ready's self-service features. We are sorry to hear about the challenges you've experienced regarding shift swaps. We will be sure to share to your feedback with the appropriate teams. If you have any additional feedback, please reach out to me at Aishamarie.ruiz@kronos.com. "Powerful tool, but has issues with big staffs who are shared with other areas "
semi-easy editing features with great weekly/pay period calculations for quick access and reporting. There are multiple issues or lack of functionality related to approving shifts and adding approving managers. About a year ago, they made the employees default job code come up as blank in the approval screen, which caused issues for us when employees are shared with other areas in the department as well as different pay structure. It took some time adjusting by figuring out who was originally hired in my area in order to know what clock ins to approve. The other issue we have constantly run unto also stems from sharing staff. They allow up to 5 approval managers per employee for continuity in case someone else has to do that persons payroll, but after about the 3rd manager, the remaining do not actually get access to view or approve. Depending on the situation you are in, I would explore all options that may suit your payroll needs if that is specifically what you are using it for. We do not use any of the other features, and for large staffs, with shared people, there are definitely other options in software that allow for scheduling, time approval, and reporting that are all interconnected to make the processes quicker. Kronos does handle our payroll of 300+ people fairly well. While we understand that with software implementation, we need to change our protocols since they cannot adopt the software to our specific needs. We have been able to clean up some of our practices due to this, which definitely has helped us streamline and set internal policies in place in order to become more efficient. Hi Al - Thank you for taking the time to post you your review of Workforce Ready. I have shared your feedback to our product management team. Regarding the challenges with our approval workflows, our support team can assist you as they can guide you on how to best manage your timesheet workflows for your use case. "Our experience with Kronos has been positive, we are excited to start utilizing more of the system." I like how I am able to make changes myself to the setup of the system and it is pretty user friendly. Customer service could use some help. There have been times I have submitted a ticket and not received a response for over 48 hours. Also, some of the applications are extremely slow. For example, the Advanced Scheduler, it takes an absurd amount of time to make adjustments to the schedule. We are currently using the HR, ACA reporting, Timekeeping, and Advanced Scheduling modules. We are in the process of adding the Payroll module so we are excited about the benefit of having a single sign on for staff to view all HR and Payroll related items. Having all HR info in one place., i.e I-9, W4, garnishments, loan documents, Non-Compete, offer letter, discipline docs. Able to help with payroll and view all payrolls. View location HR and ensure compliance. Access to all info on all employees in one place. With several EIN's it is difficult that a lot of special reports, etc have to be done by me. Can't give locations access to everything. This is our first HRIS and I love it. Like having all payroll processing in one system and access. Before each location had their own ADP and we did not have access. Payroll for all locations in one place where Corp has access. Rolling out onboarding, performance review and terminations in one place. Avoiding risk to ensure complaince. Hello Mary Ann - Thank you for taking the time to review Workforce Ready! We are thrilled to hear that Workforce Ready has given you the ability to centralize your HR, payroll, and timekeeping needs – while helping you remain compliant with your organization’s business rules and practices. Regarding reports, please contact me directly if you’d like to discuss further. We may be able to help. If you have additional feedback, please contact me directly at Aishamarie.ruiz@kronos.com. "Kronos Workforce Ready, an excellent alternative to other payroll and time management systems"
KWR has an excellent userface and allows for easy edits of timecards and punches for all employees. The levels of management approval are far less cumbersome than many competing products, especially if you're in a 24/7 environment. We love the flexibility it offers to approve from anywhere anytime. Not much honestly, but there could be better support options. If you get locked out and need a reset or other authentication help be prepared to wait on hold for a bit. Be sure you have rock solid physical IT infrastructure before switching--KWR is much more reasonably priced when you can host it locally. under our old time card system manager approval had to be done locally at the same computer used for time punches. this created a lot of stress for our managers, so being able to access all work records in the cloud anytime with KWR is a breeze for us. Thank you for taking time to review Workforce Ready. We are happy to hear that you are finding the product easy to use and it is providing flexibility for your work environment. However, I am sorry to hear you have experienced some wait times with Support. Please know that we have added additional capacity to our Support team to decrease wait times and get our customers the help they need in a timely manner. "Soooooo many tools, soooo little time." I have very much come to appreciate the very sand-boxy nature that is Kronos Workforce Ready. This series of HRIS, benefits, recruiting, scheduling and payroll modules is a highly customizable resource for streamlining a company's HR processes. You can pick and chose which modules to add based on your needs. Perhaps what I most appreciate is the custom reporting tools and how the interface can be configured to the needs of each individual user. There is a downside of a massive sandbox software package in that it is always a work in progress. There are always new bells and whistles in the works that you just wished you had access to right now. And with each new feature, there is just more to figure out when it come to configuring the modules to your specific needs. This is not a tool for someone who is not willing to roll up their sleeves and really dig into the nuts and bolts of the system. We are using Kronos to modernize our business practices that have otherwise been untouched for twenty years. I joke that with the help of Kronos we are now going to be stepping into the 2000's. In reality, the biggest benefit for us is that we now have a fully integrated HR platform from which to build off. The right hand and the left hand and the right foot now all know what the other limb is up to. We've been implementing Kronos (nearly all modules) for close to a year now, and have only scratched the surface with what else it can possibly do for us. We have the full Kronos suite, I love the time-saving functionality of having all of our Payroll, Human Resources, ACA, Performance Management, & Recruiting modules together in one spot. This has been a major time saver for my department. For the set up of our company, the performance reviews could function a little more smoothly. These have been a cumbersome piece to manage but I believe it's the complexity of our business and the initial set up was not as efficient and smooth as it could have been during implementation. Implementation was overwhelming but it was totally worth the work involved to move to this system. I feel that the system wouldn't be as easy and time-saving if we didn't have all the modules they offer. Our managers used to "ignore" the paper performance reviews and they would get "lost". Running them through Kronos allows us to keep track of those and ensure they are completed. We have accomplished being a paperless Payroll department using Kronos and the workflows offered. We eliminated paper applications and now the applications are received by the managers as soon as they are submitted requiring nothing from the HR office to process them through. The first 2 years of the ACA reporting were a little grueling but I believe that was due to the complexity of our business and how much our employees transfer back and forth. 2018 reporting was seamless and I reported without any errors. It runs SO smoothly now. "Workforce Ready is great, especially when customization is needed." The best part about the system are it's reporting capabilities. It's like working in a live excel spreadsheet. You can filter and sort columns, add in additional data if you need to, and even create custom columns where you can use formulas to get the information you need. If you can't get the information exactly the way you need it you can always export into excel to manipulate it to get it to work. Other great features are the auto emailing of reports to yourself, or anyone else in the system, almost on whatever schedule you would like (days of the week, 1st of the month, etc). HR actions allow you and your managers to submit changes for employees and approve/modify/reject them. There's some checking that is required to make sure managers selected the right thing, but other than that once you approve it the changes are made, no need for paper change forms. Onboarding and benefit enrollment are great as well, it helps streamline a lot of the tasks involved with those. Once the benefit enrollment is approved the deductions/plans are added to the employees account with you having to manually add them or add in additional information. There is a learning curve to how things are submitted in the system. If you have a lot of HR actions being done you'll have a good number of people not submit them correctly. They are working on this with a new UI to be released in late 2019, but that comes with it's own issues. There's a lot to learn in the system so its very hard to jump in and learn it all quickly. There are so many parts of the system that touch/effect other parts it can be hard to see how the web all connects. You may do a lot of learning by trial and error. The user guides are structured so that they will tell you what the system does, not necessarily what you can do with it. For example the instructions on the training/certification tracking will tell you what to enter in each field, but what it doesn't tell you is that in order to report on people that don't have the training/certification, you have to add a blank item to their account. That way you can report on the completed date for those that have it, and then those that don't have it are out of compliance. There are also updates every 2 months. This is good because you are getting constant updates to the system and you are always on the latest version. This is also bad since any bugs that come with the update you'll need to deal with until they are resolved. This doesn't happen very often though but is still an annoyance every so often. Not really a way around it. The area of the system that needs the most improvement is the ATS. It works and is usable, but if you were to use a different ATS you would likely get more functionality. Things like applicant status, questionnaires, etc are all very basic. The reporting is still great but there's a lot that could be improved. Implementation may take a long time due to the complexity of the system. Learning the system will also take time since it is so complex and there are so many parts of the system that can be utilized. Workforce Ready replaced 4 or 5 different systems and turn it into one. We had a payroll system, an ATS, an onboarding system, used an archaic time & attendance system, and paper scheduling. We also used paper submissions for all employee changes, benefit enrollments, etc. This has all been replaced and merged into one system. Applicants can apply, are hired, complete their on boarding, do their benefit enrollment, submit an information change, view their pay statement, etc all in one system so it's really simplified HR and Operations job duties. "Great transition from ADP - relishing in a true technical partnership!" Our company has many clients, each with unique and complex requirements. Kronos WFR has the flexibility and fidelity of configuration that makes it easy for us to customize for our client needs. The integrated system is powerful and provides us integrity and visibility of our workforce operations to better manage or promote our offerings. The UX, while powerful, is in need of an upgrade. This is in progress and, I'm told, will be near complete by EOY this year. I've seen progress and I'm encouraged by it. WFR is improving SO fast! I've never worked with a software company that listened so well to customers and implemented suggestions so quickly. This partnership is rare and special and makes up for any technical limitations. The product is improving at a dramatic pace. The leaders are making great decisions and investing smartly. We have 100% trust that our choice of Kronos helps save us money, improves our performance, and enhances our competitive position in our marketplace. Compliance! California rules can be challenging to implement effectively. Kronos gave us more control and visibility to ensure what's most important in a services business: ensure fair and accurate pay to all our employees. We've also been able to increase our billing time at EOM by 50%. This is a real cashflow benefit to bill customers earlier in the month and with greater accuracy. "Kronos Workforce Not Quite Ready"
Good platform with a single underlying database. Kronos continues to invest in expanding and improving the software. Excellent annual KronosWorks conference where interaction among Kronos customers is encouraged. Employees seem eager to help. Very poor job installing the product. We were able to go-live with payroll on the targeted date but much of the configuration, including taxes and W2 set-up, was incorrect. We had to issue more than 350 W2c's due to a configuration issue that should not be possible to mess up (box 12 d shouldn't include employer match yet Kronos WFR allowed it to be configured in this manner; the Kronos installation team introduced this error while doing the initial configuration). Poor follow-through in terms of resolving/closing tickets. Poor account management follow-through. Very poor documentation and very little access to meaningful tutorials. We are no longer a direct customer of Kronos WFR due to the poor customer experience. Also very little ownership and help between the Kronos WFR front end software and the back-end payroll processing (we used ADP and neither ADP or Kronos seemed to accept accountability for the reconciliation of the files, nor could they point us to someone who could help). Also did not have a good experience with Kronos WFR "trusted partners" who are willing to configure Kronos WFR on your behalf, for $130-160 an hour. We found these consultants to be only slightly more knowledgeable than the Kronos WFR help-desk, however in many cases their knowledge was lacking, once again due to very little system documentation and lack of experience with the platform. The software and value is very good. If you choose Kronos WFR, look into one of the regional payroll/HR outsourcing firms that uses Kronos WFR that is re-branded and sold as their own. You will get much better service, will have knowledgeable support, help with complex tax set-up, help with configuration/workflows, all for a bit less than what Kronos will charge you as a direct customer! We transitioned to a local payroll company who runs the same (but re-branded) Kronos WFR. We did a complete re-install and found many more configuration errors. We are now much more happy with the local company who takes full responsibility for configuration and tax filings. We now have the all the benefits of a good HCM system, without the downsides of poor service experienced while a direct customer of Kronos. All this extra support at a slightly lower cost than what we were paying Kronos and ADP (for back-end processing)! No employee disruption during the transition either! We love our new vendor relationship! Thank you for your candid review. I am pleased that you enjoyed our customer conference, KronosWorks, and are happy with Workforce Ready solution. I am disappointed to know that we could not provide you with a service experience that met your expectations. We take this feedback very seriously and I will be sure to escalate it to the appropriate stakeholders. While we could not meet your expectations, I am happy to hear that you are enjoying the Kronos events and are receiving an improved experience through our partner network. Again, thank you for the time you took to write this review. We have recently updated to version 8.0.13 and I like the "Gantt View" option in the schedule view. It is nice being able to quickly see upcoming vacations and know how much labor is available on a given day. The Exception Alerts are also very useful, highlighting any discrepancies in time cards without having to dig through each individuals time card and look for missed/late punches, etc. Within the schedule view it would be nice to have a full-month calendar view to more easily see a labor forecast beyond the current pay period. If you are spending a lot of time reviewing time cards for discrepancies or going through schedules to determine the available labor on any given day, Kronos Workforce can greatly reduce the time put into those tasks. Being able to quickly see the available labor for the next couple days has been a time-saving benefit when working on assignment schedules. Thank you for you review Joshua! We are pleased to hear that you are finding new useful features in the product! This if my first time using Kronos as a Payroll Manger, and it was a smooth learning process. It is very easy to navigate and if you cannot figure something out the Kronos Community is a great help. That is probably what I like best, the ability to reach out to other clients and discuss problems and resolutions. I had the most trouble adapting to Kronos third party partners. We have the full sweep of Kronos Workforce Ready, but we use ADP for check writing and tax filing. When Kronos has updates, it seems that the ADP files are manipulated. The manipulated files are not able to upload to ADP, and it has caused a lot of problems. I have had a great experience with Workforce Ready so far, it is easy to use and understand. Our employees can access a lot more than they were able to access previously. I am looking forward to learning a lot more about the software. Kronos has a multitude of reports that are easily manipulated and can give us great feedback. In return, we can adjust our labor and possibly save time and money. We have also just started using the mobile app for our employees, and it has been a great hit. Some of our employees do not have computers at home, but almost all of them have smartphones. They are able to receive and adjust their schedules right from home. We are thrilled to hear that things are working so well and that the learning process was so smooth for you! It is also great to hear to Kronos Community has been such an excellent resource! Please feel free to reach out to me at amy.fafard@kronos.com if you would like to further discuss the third party adaption. "The best product I have found for all aspects of the HR function"
I love that I can recruit, employ, and terminate an employee and every record pertaining to them is in one place. We use every module of Workforce Ready and even use third party software partnered with KRONOS. They are always improving the product and making meaningful enhancements that improve the day to day functions of our business. I don't like the BSI option that we have with payroll. It is very confusing, difficult to use. The security within Workforce Ready is also difficult to figure out at times. Take advantage of all the modules and force yourself to learn the system and use it. Ask over and over for what you need. They do listen to concerns. ACA reporting module is a life saver when it comes to combining HR information and financial information. We are currently working on adding the analytic data component. Workforce ready team is always making improvements to make HR administration easier. They have improved the mobile application to make the product user friendly for our employees. By implementing KRONOS, for my company, I have an infrastructure that will allow us to grow. We are thrilled to hear that Workforce Ready is working so well for you in your hiring practices! We appreciate the feedback! Please feel free to reach out to me at amy.fafard@kronos.com to discuss your thoughts on BSI. I love that all the tools are at my disposal to receive the help when needed. That is very important with payroll deadlines. The customer service has always been top notch and they really care about their clients. I love that we have all of our properties under one URL and only have to make changes to our setup one time rather than 10; as we previously did. Kronos is very easy to navigate and learn as well. The only thing I dislike is having to transmit payroll so early; but that isn't a problem that Kronos can fix. Do it!! We don't have any of the issues that we had with other systems and they really do listen to their customers. There hasn't been one time that I have been sorry we are with Kronos. As a matter of fact; we keep adding modules!! I was able to fix the issue regarding our part time sick accruals for California and Oregon associates. We are able to upload payroll financial information with the creation of our general ledger system within Kronos. Just those two issues alone resolved many hours of work for many associates. With the use of the scheduling module; management is better able to track hours versus club usage and adjust the schedule accordingly. Associates are better able to manager their time off by using the time off workflow, schedule in Kronos and the shift swapping feature that has just come out. Manager are better able to get coverage for shifts as well. Time spent on payroll has reduced dramatically with the use of importing spreadsheets for large volume departments. I love that I can schedule reports to go to specific managers at specific times so that I'm not having to run the same reports all of the time. The ability to have all of our properties under one URL is a lifesaver as well. We previously had 10 URL's for our 10 properties. It was time consuming to have to switch back and forth and then to have to make changes in all 10 was also a challenge. Thank you for your amazing review! We are so pleased to hear that Workforce Ready is working so well for your needs, especially when you are up against deadlines! Also, it is wonderful to hear of your great experiences with our Customer Support Team! I will be sure to pass that along. "Incredibly powerful, with one major limitation"
The system is incredibly powerful, and contains a tremendous amount of features. Workforce Ready was the only cloud based solution that contained every major HR and Workforce Management feature we were looking for, all under the same roof. Workforce Ready contains little to no functionality to assist with quarterly and year end corporate payroll tax reporting and/or filing at the state level. There's no out-of-the box state-level tax reporting built in, nor the ability to build a fully featured custom report for your state. Kronos Global Support has been of little help as Kronos has chosen to farm tax reporting functionality out in a few different directions. Which, if you want these features, all come at an added cost to you, the customer. Overall - Workforce Ready is an incredible tool containing a wealth of functionality, all with just enough customization for small or mid-sized businesses. We are incredibly happy we went with Kronos over the others SaaS options we explored. Be certain you have partner lined up (or budget for the added cost to sign on with the additional BSI Tax Module) to assist with corporate payroll tax filing and reporting as there is nothing built in to assist you with this at the state level. Employee application to COBRA now happens within one system. All modules talk to one another, and the system knows every aspect of the employee life cycle. ACA tracking, benefits enrollment, hiring, terminations, etc - all HR functions have been made incredibly easier thanks to the implementation of the system. We are also now tracking data we never had access to before, i.e. turnover, overtime by cost center, scheduled vs actual hours. All of which appear at a Manager's fingertips, or simply delivered to their inbox on a schedule they customize. Hi Chris - Thank you so much for providing a review of Workforce Ready. I appreciate your feedback on the quarterly and year-end tax reporting. I have sent this information to our payroll product manager for review. Again, thank you for writing this review as your feedback helps us to continuously improve Workforce Ready. "All in one Go to Platform for Colleague Performance & Time Management"
Hello ShaShank - Thank you for taking time to review Workforce Ready! We are thrilled that our products are meeting your organization's needs to help you be more efficient in maintaining your HR and timekeeping processes. We are sorry to hear about the glitches you've experienced. If you would like to discuss in more detail, please reach out to me directly at Aishamarie.ruiz@kronos.com. "Kronos delivers what they promise"
Kronos is easy to use and the reporting features are very flexible and is able to give you a wide range of information. Employee profile changes flow through to each part with little effort. Hiring staff is simple and easy in this system. We are spread across four counties and this enables us to track time worked, time off, and distribute pay statements and other information quickly and easily. "Kronos Workforce Ready exceeds our expectations"
Customer Service is 2nd to none! Peace of mind is so valuable. Haven't found anything I dislike, yet. We do have a few users who have limited computer skills. Any automated system has a learning curve. Although Set Up can feel "Heavy" and administration can be complex (we have a complex company), it's so worth it! The Kronos Implementation Team continues to help us through it, every step of the way. It might take a little longer than other providers but the accuracy will far outweigh the time it takes. Going live mid-year was not as painful as we thought it would be. We have no regrets and Highly recommend Kronos Workforce Ready software. Workforce Ready has far more functionality than our previous provider and the Modules work well together. No more blackout periods for processing, great reports that we can fine tune on our own, Auto generation of reports, so I can take a vacation with out the stress of month end report scheduling. There's so much more! Thank you for the excellent review of our Customer Service and Professional services team! We appreciate the kind words but are even happier that you have peace of mind! "Kronos is great for timekeeping, especially if you have the mobile app"
I cannot see my hours from the past week. It limits the view to one week only (current) and that's it. Sometimes it crashes out of nowhere, too. Buggy, can be a bit annoying. Get familiar with the app and its nuances. One thing wrong and it's hard to redo it. I don't have to call my supervisor every time or come to my desktop to check my hours or see a timecard. I can also submit time off and vacation requests through my phone. No need to use the computer. Thank you for taking time to review Workforce Ready, Alex! We are glad that Workforce Ready has been a great user experience for you, and that you are enjoying access to the solution on-the-go. We are sorry to hear about the nuances you've faced with the solution. Please reach out to me at Aishamarie.ruiz@kronos.com, if you would like to discuss in more detail. "Mobile workforce...? Go Kronos Workforce Ready!" We took full advantage of electronic time sheets and the ability to submit then from the app. Being able to see my benefits, pay stubs, and request time off right from the app has saved me so much time from calling the particular department to get the information. We have the least amount of fun with the amount of work it takes to get Advanced Scheduler up and running. There are a lot of settings and modules that need to be mastered in order to get AS to work. Record your implementation training. It will help resolve arguments about ways to accomplish tasks. Time theft. Prior to moving to WFR paper time-sheets were impossible to verify and now with Mobile App Geo-fencing we are absolutely sure employees are showing up to work on time. The ability for the app to show in the EE preferred language has eliminated the need to have multi-lingual employees in each department. Hello Oscar - Thank you for taking time to review Workforce Ready! We are glad to hear that our products are helping you ensure accurate timekeeping, saving you time, and providing employees access self-service features on-the-go. We appreciate your recommended feedback about recording all training – that’s a great recommendation. I like how I can look at my schedule within the app. I really only use the app so I do not have much experience with it. In the app, if you do not know your password, and you guess you get locked out within three tries. That is very annoying especially when you are trying to plan ahead for a trip and you can not access your schedule or reset your password in order to do so. Well, we got a new time clock that is very fancy and nice. It helped out with accounting and time adjustments and payroll. Easy to monitor employee hours, as well as the ability to track attendance with the point system. Also has the functionality to configure paychecks ,change pay withholding, and direct deposit information that can be approved very quickly. It also has the ease of being able to request time off and see how PTO hours are utilized. Easy and more streamlined UI. Tends to lag and being able to switch through windows is a bit of a hassle. Keeping track and making sure that attendance standards are being met and followed. Thank you for taking the time to review Workforce Ready! It’s great to hear that you have found our products easy to use and highly configurable to accurately and effectively meet your payroll and time off request needs. We’ll provide our product management team your feedback regarding the manual process of the auditing feature, editing, and the lag of the UI. "Great HR toool for small business"
Some things are not easy to delete even with Company Admin rights. I also wish the format for the importers was easier to understand. We are solving our onboarding process with Kronos. We have implemented all new hire documents, and legal documents in Kronos, all digital which means minimizing paperwork and user error! We are also streamlining the payroll process with Workforce ready which has cut down our payroll processing time by 80%. Thank you for taking the time to review Workforce Ready! We are glad to hear you’ve found workflows, HR actions, and TLM capabilities to meet your organization’s needs. We’re also happy to hear that the Kronos resources have been very resourceful for you. What an awesome testimony to hear that by streamlining the payroll process with Workforce ready has immensely cut down your payroll processing time. We will be sure to route your feedback regarding the deletion of items back to the appropriate teams. If you have additional feedback or have any questions, please reach out to me at Aishamarie.ruiz@kronos.com. "User friendly and great customer service"
Kronos is very good about tailoring the product to the needs of your organization. If you need a feature to be added or changed, they will do as much as they can to create it for you. While they do tailor the product to your needs, sometimes they take a while to implement the changes that you need. Make sure that all the features on your applications will transfer and integrate into the Kronos system before you switch. Other than that, I would recommend Kronos. We have 1400+ employees and we were using different software for each piece of the employee experience. Kronos helps us keep all applicants in a central location for all of the stores and then once they are hired we can use that same software to complete their paperwork and have all their information ready for payroll. We do not have to spend time imputing employee data into separate systems. The best thing about Kronos is the fact that you can use it so many different ways. You can look at your pay stubs, your income, and more. It is a very helpful service for people at the base level of their jobs here because it helps them understand how they can move up. We solve lots of problems that involve tax related income issues, it is easier for our employees to file their taxes to insurance companies in this way. This improves the efficiency of our company significantly. If an employee holds multiple positions at one company, they can enter a “transfer code” that is given by the employer. This allows certain hours to be taken from one account the company has and for other hours to be taken out of a separate account. This makes it a great program for students who hold multiple positions on their college campus. I really don’t have any complaints about the program. It does give “warnings” if a break is too short or too long. It also will give a warning if you work too long without a break. This may be something my company specifically implemented, I’m not sure. I usually just ignore it as instructed to do so. Kronos is a great way for employees to log work hours. It is especially useful if an employee has multiple positions at the same company and the pay comes from two different company accounts. "Kronos Workforce is an easy and effective application for the modern workforce "
The Kronos Mobile App and Desktop Application are extremely easy to use. Employees can track their schedule, hours, time punches, and more with ease. These tools can even be used on the go with the mobile app. I have never experienced any issues with this product and always have found it extremely helpful. It takes a little bit of time to fully understand all the uses of the application, but it is easy to understand after some practice. It has made life much easier for employees and management to track hours and work schedule. "Great product and support like no others"
The hosted environment is the best along with their support that is so good. I was not used to the level of service from our previous vendor. They help you and teach you at the same time. I've never once not received a timely solution and response. There are certain modules that I wish were further developed such as performance management but I do think that this will come with time. Speak to other clients and ask specific questions about how they set up challenging things like unique benefits or a custom work flow. Automation of our paper processes. We aren't paperless yet, but have cut it by over 70%. Managers are satisfied as well. "Great System, but Too Much Variability"
Kronos makes it relatively simple to monitor employees time cards. Some reports are extremely useful such as punch detail. The manner in which an employee's time must be entered or edited can be extremely cumbersome and tedious. For example, in a given day, you are only allowed to enter one punch in and one punch out without having to navigate out and back in to the time frame you're looking at editing. Definitely look into some other systems prior to implementing Kronos. However, don't completely eliminate it from the running without determining if something else might fit your needs better. The biggest benefit is simplistic payroll and easy reporting. "Workforce Ready: Ideal Solution "
Workforce Ready has a variety of customization options. You can create a creative and customer dashboard to enhance user experience. The mobile app gets better and better over time. Very user friendly. Performance Management system allows for seamless, easy processes. Custom forms can be a bit tricky for end users who are unfamiliar with the process/understand how to sign off. Would like to be able to upload documents for employees to view/intranet capabilities. We have a company of almost 5,000 employees. Workforce Ready allows us to track employee records, goal setting, performance management, etc. Thank you for taking time to review Workforce Ready, Erin! We are happy to hear that you are finding the product user friendly and it is providing flexibility to meet your organization's needs. Please feel free to contact me at Aishamarie.ruiz@kronos.com to discuss your reporting needs, as we may be able to help. Self Service is easy to use and employee have adapted to this feature easily. They use it for Time off request, benefits enrollment, online pay statements, and more. Managing TLM with timesheets, attendance, and accruals allow you to combine multiple functions into a streamlined process. Payroll works well and has good workflow to complete process in a timely manner. Would like to see Leave and Attendance modules enhanced. Lacking some automation of reports that would really be good additions to the product. Single point of entry with a cloud hosted solutions keeps everything in one place and data secure. No longer have to manage upgrade of versions and legislative updates. I like that Kronos has a user friendly interface for timecard entries and someone only needs beginner tech experience to enter hours sufficiently. The interface gets considerably more complicated for managers and supervisors. It would be helpful to view timecards when an employee is selected without having to toggle between screens. Kronos works extremely well for companies large and small. I would recommend a brief training session if you have multiple employees who are not tech friendly. If your staff has a moderate level of computer tech knowledge, they will understand the program with minimal assistance. As part of a large company, Kronos permits various types of hourly input. This allows hour entry to cater to the department and employees within it. Kronos also permits me to view, edit and approve my employees hours while on the go through the Kronos app. "A Continuous Work In Progress"
I love how adaptable and customizable the Kronos platform is. They have really used forward-thinking to anticipate the needs of their broad range of customers. At times, there are several ways to get to a feature or change a feature and it can be confusing for new users. Definitely use help from the Kronos Community, support and personal specialists to build out the product in the way you need. The ability to track turnover and expenses by department/EIN has been an amazing feature for our company. As we continue to build onto our system, we have realized the ability to customize digital forms, progress reports, data/expense reports is pretty amazing. Using the reports feature is like having Excel right at your hands within the system. Thank you for you review! We love hearing how adaptable the program is at meeting various business needs! If I can be of assistance as you and your users become familiar with the system, please feel free to contact me at amy.fafard@kronos.com. As you already mentioned, Kronos Community can be a great resource as well and there are some great training resources available. "Kronos is so easy to use." Network wide time card access and management for entire leadership team. The interface is very user friendly and the multiple searching and sorting features make it a program that anyone can learn quickly. It can be buggy, time punches can get formatted incorrectly and military time is not an ideal format for all users. All management personnel are able to view and modify any associate time card which allows consistent and reliable payroll management. I am able to provide an easy to use platform for all of my associates. "Great system for a large group of people"
I like the platform that this program is run on. It is very user friendly and very easy to access. You can find what you are looking for very easily and can search if you have a question. It's great to do reviews within the program itself and you can just click through the questions and answer as you see fit. There is also a great help team that is available to answer questions as needed. Great product all around and I would definitely recommend it for a company that has a lot of employees. It is very easy to manage. Overall, there was not a lot that I disliked about the program. The color scheme could use a little flair but other than that, I feel like the actual usage of the program does what it is intended for. I am not entirely sure how to use all of the things that the system does have to provide. I would definitely recommend this product to a large business model. We had a lot of employees and it was very nice to have a centralized location in which all of our employees information was uploaded into. It was very easy to access and very user friendly for even the most computer illiterate staff. It has a lot of tools that can be used for many different things. Record keeping and tracking applicants has been a great tool for our facility. The time clock punch for employees is also very convenient to have for all of our staff. It provides a centralized location for all of that information to be held in. If you have hourly employees, you can see the exact amount of time they actually work. In addition, when it comes to vacation requests, everything is automated and it has a nice process flow of approvals. Before Kronos, we had to submit timesheets via Excel. It was horrible! Kronos helps with the utilization and accurately captures time. There are some issues with Kronos. For one thing, if an hourly person requests time off, it gets approved, but then he/she cancels it...there's more steps that need to be done. For instance, the cancellation needs to be approved by the manager and then the manager needs to go back and enter a schedule for that day. In addition, if you try to use an activity code that's linked to your company's order management system, the fields are very specific. For instance, if you enter it as **/432222 vs ** / 432222, it won't work. It's very sensitive. It has reduced time being wasted on timesheets. It has saved emails from being sent about time off requests. Less arguing of time actually worked from employees. No discrepancy at the end of the year of how much vacation you have left. "Painfully slow and cumbersome app. " I like that actions can be completed across multiple devices, ensuring connectivity and synchronization. The app is so slow. You have to re-log in every single time - it’d be great if you could detail whether you are using a personal or business device in order to fix that. The app itself loads slowly for every step - meaning if I just want to switch to a separate pay period to review my employees’ times, I have to wait another solid 5-6 seconds. If you’re trying to complete a lengthy process, this stretches it out by quite a while.! Kronos does do a great job of tracking timestamps and making scheduling an easy, albeit slow process! Certainly helps make sure I’m not stuck in the back room and rather, I’m on the floor with my employees. The best feature I like is " My Dashbaord" and customer support. I can adjust the dashboard tabs and quick links to my liking, my short cuts. Whenever I had to call support, the representatives are kind, patient and quick to resolve the problem. When the network - firewall acts up and blocks Kronos access, it doesn't up load time in and outs on the employee to the icloud. Although it is recorded on the Kronos workready, the network blocks the Kronos to update the Icloud to update. My dislike there is no alert feature or red flag. I will notice it once through each department system. No problems are in the process of being resolved as of now. Our company has updated the network in hopes this will avoid discrepancies in the future. Glad to hear that you are able to configure the Workforce Ready Dashboard to meet your needs! 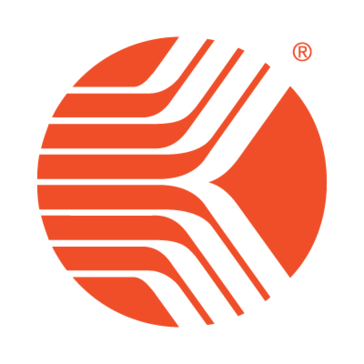 "With ease and a detailed organizational platform, I was able to use Kronos Workforce Ready. " I love the clear presentation of the software and ease of organization. I dislike the time it took to implement and sift through the needed infrastructure. It is a decent software for taking care of payroll management and tracking the hours of employees but has difficulty in its ease of editing once that data has been stored. Kronos Workforce Ready is used for payroll and tracking time and attendance of employees at my office. I have realized that this makes organizing such information much easier in the long run. Thank you for your review of Workforce Ready, Caroline! We are so happy that you find the solution easy to use - and it is meeting your organization's payroll and timekeeping needs. "Good but has some issues..."
I like that Kronos has many HR options centralized in one hub. My current organization does not use all the capabilities but if we did it would be more streamlined. I also like that Kronos is easy to use and, has great report options. There are a lot of login issues. This may be a network problem because of our high number of users. Not really sure . Another complaint that I have which is more user error than software error is that Kronos is not compatible with our payroll system so we have to manually put time into that software. Purchase and utilize the full software. Kronos is not compatible with a lot of other software/programs. Electronic tracking of time and attendance and vacation/sick.personal leave accruals and usage. Hello - Thank you for reviewing Workforce Ready! We are glad to hear that Workforce Ready gives you the ability to centralize your HR, timekeeping, and accrual needs - and provides you easy access to an array of reports. We will be sure to notify the appropriate teams regarding your feedback about compatibility with other third-party technologies. If you have additional feedback, please email me at Aishamarie.ruiz@kronos.com. Easy to navigate and find employee info. I also feel improvements can be made to applicant tracking. Specifically in terms of searching applications. While I am comfortable setting search parameters, I think some improvements can be made. Maybe have all available search options listed for the user to see rather than having to use drop down menus in order to tailor the search. Good tool, easy to use after a few hours of either training or navigating on own. I had some slight training but basically taught myself how to use many of the Kronos tools. Kronos is used as the tool where we keep all personnel records, in regards to paperwork, training, time and attendance, recruitment and applications. Hello – I appreciate the time you took to write this review. I wanted to let you know that in our last release we have made some vast improvements to the recruiting experience. I encourage you to sign up for our Workforce Ready Announcements group which you can find in our Kronos Community. Our Workforce Ready Announcements group houses all our release notices and release information, so it will be a key resource for you. "Great HR PAYROLL TIME MANAGEMENT software"
Love that it encompasses everything employee related from the application down to their final pay at retirement. The system pull all this crazy information together into informative data. I wish it were a little more robust than it is even. Kronos has really knocked it out of the park with their new platform.. Kronos Dimensions. I hope to them integrate more of those great features into Ready. No real problem is working great for us. Have been able to eliminate our sensitive employee data from being stored at 6 different companies to all be held within the one Kronos system. Have really streamlined a lot our processes. We have been able to automate a lot of the tedious steps. Hello - Thank you for taking time to review Workforce Ready! We are glad that the solution is easy to use, and provides your organization the benefits of being able to streamline processes, centralize sensitive employee data, and automate antiquated multi-step processes in one solution. We will notify the appropriate teams regarding your feedback about improving the solution like that of Kronos Workforce Dimensions. If you have additional feedback, please email me directly at Aishamarie.ruiz@kronos.com. Learning about Kronos Workforce Ready? * We monitor all Kronos Workforce Ready reviews to prevent fraudulent reviews and keep review quality high. We do not post reviews by company employees or direct competitors. Validated reviews require the user to submit a screenshot of the product containing their user ID, in order to verify a user is an actual user of the product. Hi there! Are you looking to implement a solution like Workforce Ready?